يقع في كوجي بيتش, Dive Hotel Coogee Beach إنه المكان الأنسب لاكتشاف سيدني و ما يحيطها. إن موقع الفندق الاستراتيجي، الذي يبعد 8.5 km فقط عن مركز المدينة، يسمح للنزلاء بالوصول سريعاً وبسهولة إلى العديد من الوجهات المحلية المثيرة. بالنسبة لمن يريد الخروج، هذه بعض المعالم السياحية المتوفرة للزوار كوجي اوشن بول, كوجي, مكفيرز باث. 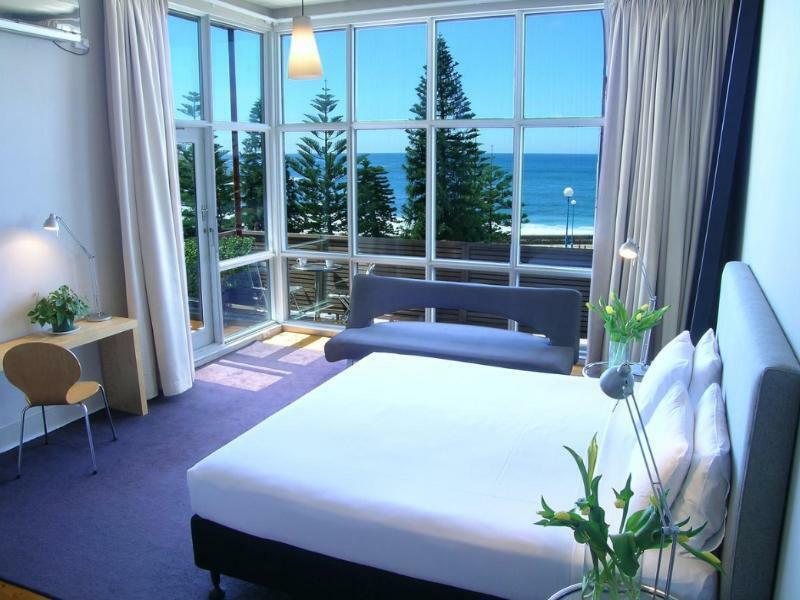 كما يقدم Dive Hotel Coogee Beach الكثير من الخدمات لإغناء رحلتك في سيدني. هذه بعض الخدمات الموجودة في هذا الفندق: واي فاي مجاني في جميع الغرف, تسجيل وصول/خروج سريع, تخزين الأمتعة, واي فاي في المناطق العامة, صف السيارات. لقد جهزت هذه الإقامة الفندقية بعناية فائقة لتوفر مستوى عالي من الراحة. في بعض الغرف يجد النزيل تلفزيون بشاشة مسطحة, اتصال لاسلكي بشبكة الإنترنت (مجاني), غرف لغير المدخنين, مكيف هواء, تدفئة. يقدم الفندق خدمات رائعة كمثل حديقة لمساعدتك على الاسترخاء بعد نهار طويل من النشاط والتجوال في المدينة. إن Dive Hotel Coogee Beach هو خيارك لخدمة الفنادق الراقية في سيدني. يرجى العلم أن الأسرّة الإضافية في الغرف متاحة ولكنها تخضع للتوافر (ولا يمكن ضمان توفيرها). يرجى ملاحظة أنه لا يسمح بوجود حيوانات أليفة. 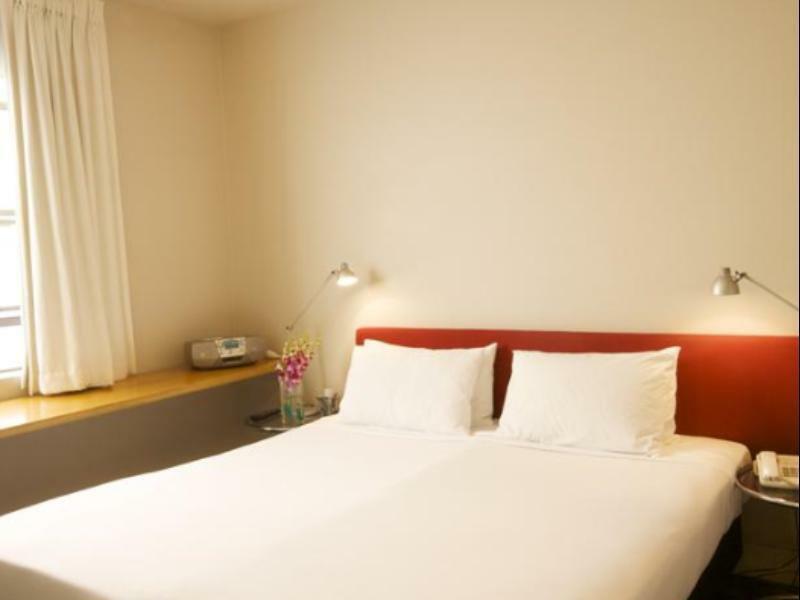 comfortable room, good friendly staff and more homely than a big hotel. Very good location close to the beach but the room quite small and make sound during walking in the room. But overall is very good. The Dive Hotel does not aspire to be an international or business hotel. 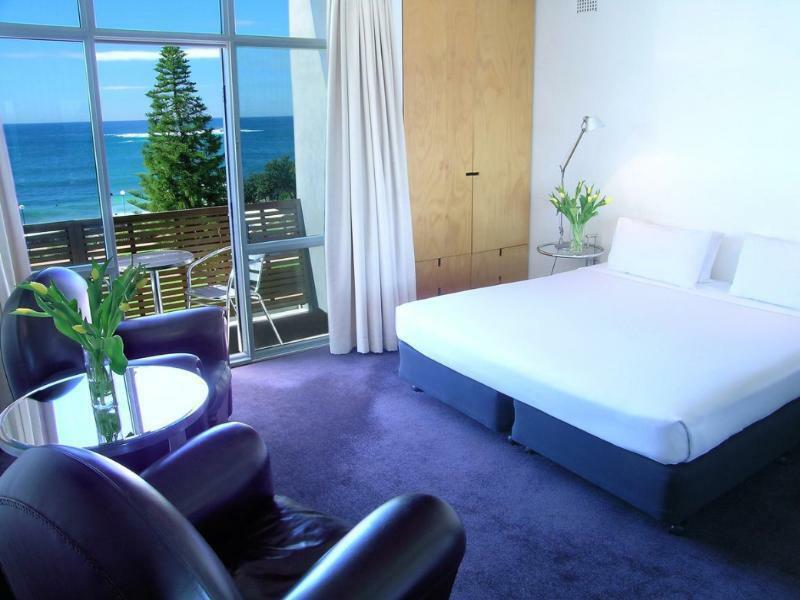 It is a boutique hotel, ideal for couples wanting a bit of a break, being a short walk to the Coogee Beach and facilities. The staff are friendly and helpful, and it is ideal for this purpose. I had a room at the entry level and I did notice that a fairly narrow and steep staircase led upstairs so I suspect if you have a room up the stairs it might be a bit of hike with your luggage (but always remember that travelling light is the best approach anyway). There was air conditioning in our room and as Sydney reached 40ºC on Sunday (18/03/2018) this was welcomed. Local facilities are good and the beach is beautiful white sand. All in all the hotel had atmosphere and personality, values often not found in chain hotels or business-oriented premises. The management seem to have a deal with a particular ca4 company. They refused to order a normal cab and said we had to give 24 hours notice to get a car. They then said we would have to walk to the cab rank if we wanted one on our first morning. Not only myself but a frail aged couple who were needing to go to the hospital . I do not appreciate being ripped off. Their car which I was forced to use the next day cost twice as much . I felt very sorry for the old couple as we walked around to the cab rank together. This is a disgrace. Our stay at the Dive Hotel was a very welcome 5 night stay. After 3 and a half weeks stay in Sydney. In a heat wave. The location is perfect. Even though it’s right on a very busy road. Saying that. This does quiten down considerably after about 6 pm. We had room 19, which has a narrow balcony with two chairs and a shelf, which runs the length of it, Ideal for sitting out and having a drink and food, watching the world go by. We did this most evenings. When you’ve had enough of chilling out on the balcony step back in side, shut the doors, peace and quite. 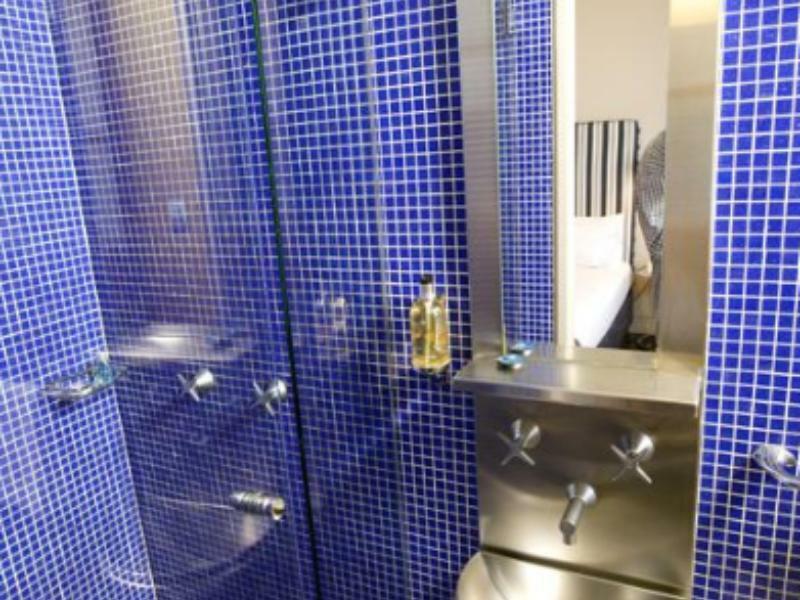 The room had a large bathroom with bath and walk in shower, both of which are of a good size. A large bed. A little hard for us, but that’s not the Hotels fault. We still slept ok. Two lounge chairs which served there purpose. But I think need changing, along with the ceiling light shade definitely. I’m nit picking. The room was kept very clean and tidy by very cheery and chatty staff. That goes for the rest of the Hotel. What a great place to stay! 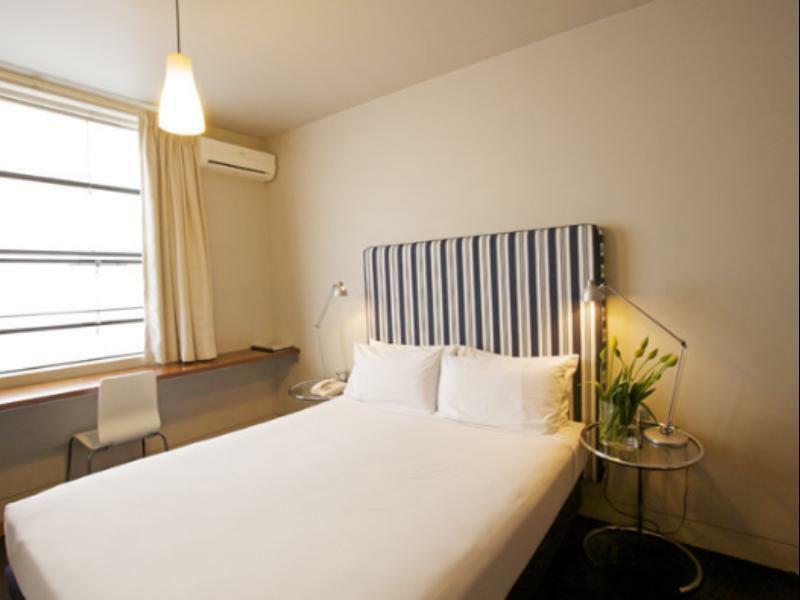 Comfortable rooms, friendly staff and the perfect location. The free breakfast is a lovely touch. This is a very different hotel with a small number of rooms but very very good. Free breakfast with lots of choices, friendly staff who even loaned me an opal card for the bus. Lovely large rooms with interesting furnishings. Torrential rain that weekend and the room leaked a bit around the windows. Many thanks! Really enjoyed the beautifully kept boutique hotel. 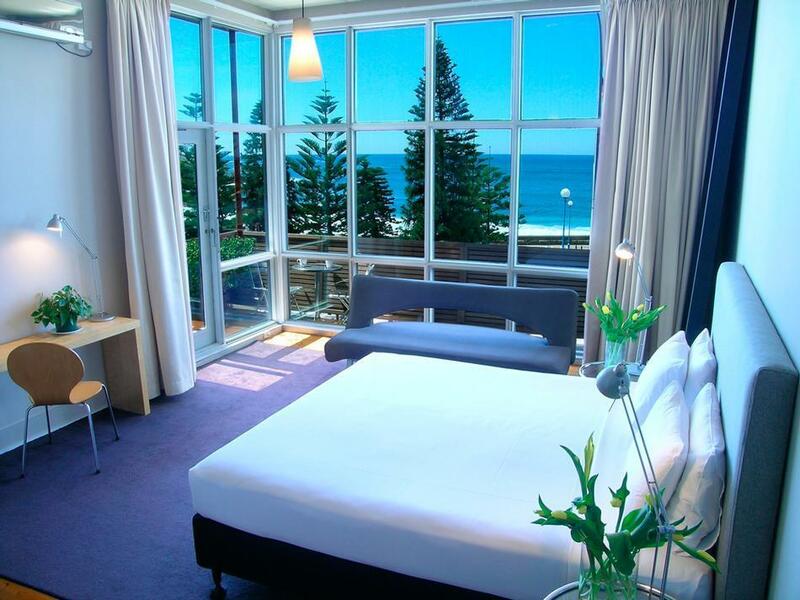 Cute little hotel which is ideally located just opposite Coogee beach. Extremely friendly and helpful staff and some cute dogs who are around the reception area! 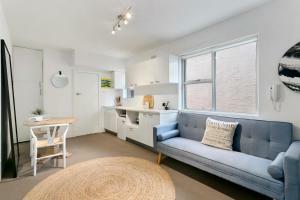 The room was well equipped with a kitchenette and coffee making facilities. Bathroom adequate with a shower cubicle. We had a nice balcony too. The main annoyance for me was the bedding: lots of sheets which sandwiched an itchy blanket- I prefer a duvet! It's great however for a night or two in Coogee! Lovely boutique hotel. Warm and cosy, so different from the big ones. Fantastic location, in front of the beach! older "modern" styled, well-kept, more like a good B&B, more ambience than a hotel, and much friendlier.